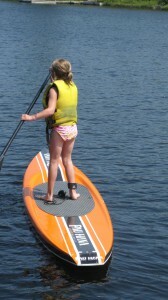 Home › products › Looking for a Canoe, Kayak or Stand Up Paddle Board? Looking for a Canoe, Kayak or Stand Up Paddle Board? Our friends in Clearwater, Minnesota may have exactly what you need. They are located just a short drive from the Twin Cities and can set you up with a watercraft you’re sure to enjoy. Right now they are entering names of anyone who purchases a boat into a drawing to win a trip to the Boundary Waters, courtesy of Voyageur Canoe Outfitters. This is right in time for the holidays so check them out today! Wenonah Canoes, Current Designs Kayaks, Pau Hana SUP boards, Jackson Kayaks, Native Watercraft Kayaks, NuCanoe, Liquid Logic Kayaks, Osagian Canoes, and periodically we get other used brands in.